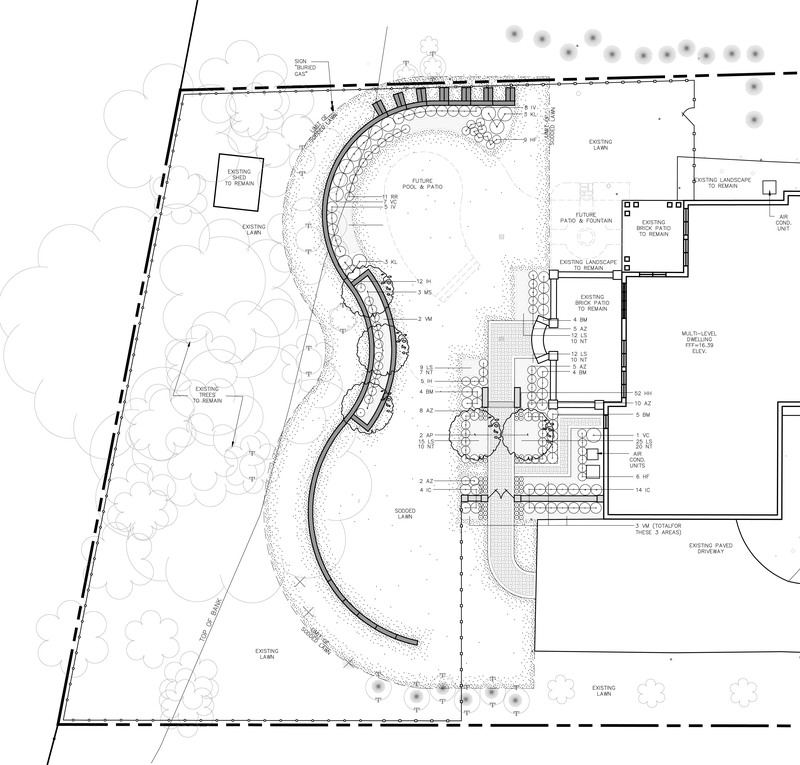 Many homeowners may not be sure whether or not they need a Landscape Architect's help with their project. 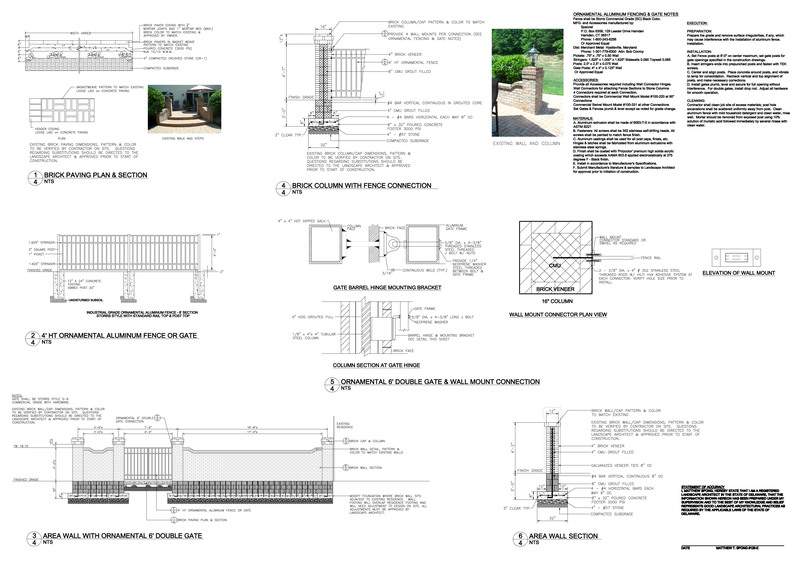 This page illustrates the steps a Landscape Architect would follow to develop a typical Residential Design. Whether your property is a town home, a mansion estate, or anything in between, this process ensures that your project is beautiful, livable, and easily maintained. In this step, we will meet with you at the project site where we will have the opportunity to hear about your vision for the project. 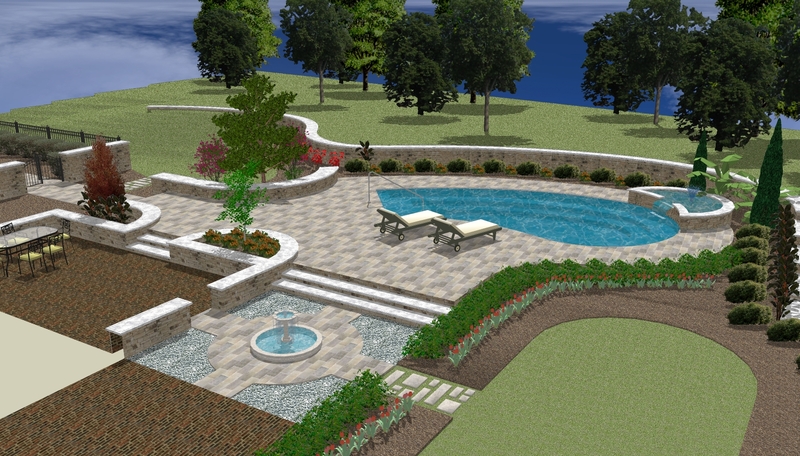 Together, we will develop a list of the features you wish to include in the project: a pool, retaining walls or fencing, terrace, deck, water feature or plantings for example. We will have the chance to become familiar with the site, its limits and opportunities, its setting and style. We will prepare a written proposal outlining the scope of the project, the services we will provide and the costs of those services, and other terms of the agreement. 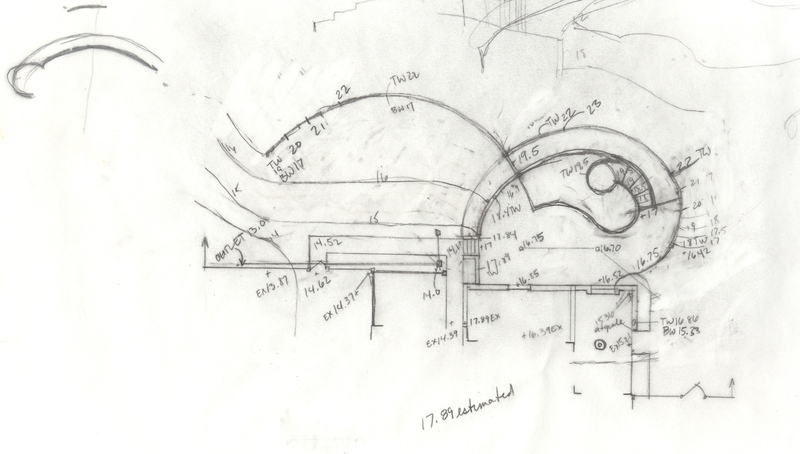 During the Preliminary Design phase, we will develop loose sketches, which show different options for organizing the key features of the design. Each option will develop use areas based on their relationship to your home, the surrounding neighborhood, and to each other. Issues such as circulation patterns, views and privacy, grade changes, and others will be considered. Once you have chosen a preliminary design, we will develop a drafted, to-scale plan that shows more specifically how the site will look and how it will function. 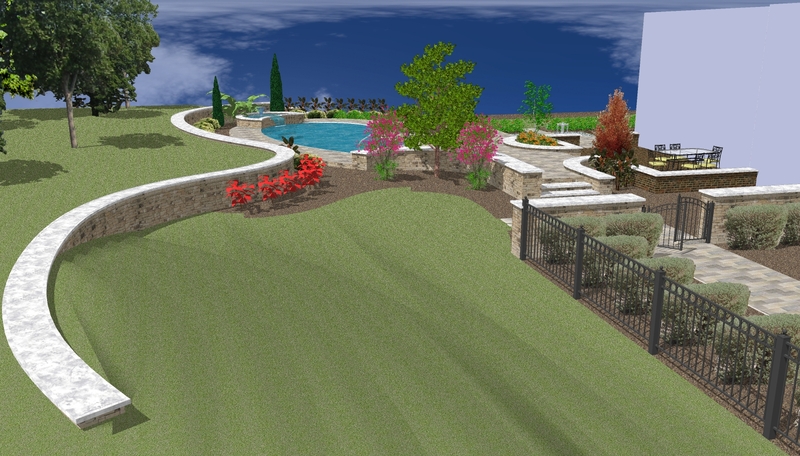 We will indicate materials to be used, work out grading and drainage patterns, and develop a planting plan. While this phase of the design may look like just a pretty picture of the project, it is an invaluable tool and a crucial part of the design. 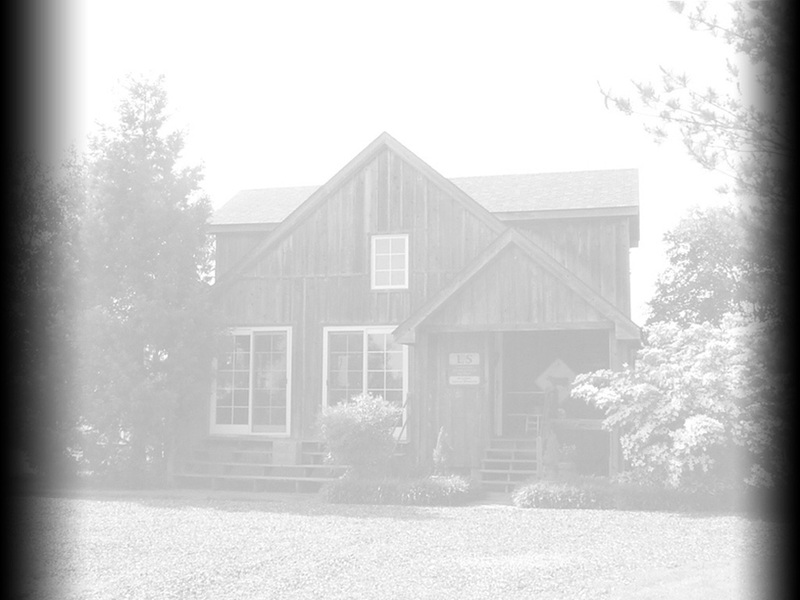 We take the preliminary design, and the changes we made during the design development and meetings with the homeowner, and transform them into a 3D design that shows a very close resemblance of what the final project will look like upon completion. With this software, we are able to literally "walk" the client through the 3D rendering of the site. This tool lets them find any last minute changes to the design that they would like to make, or to give us the go ahead to start with the final construction documents needed to bring their project to reality. Construction Documentation ensures the homeowner that what a contractor builds is exactly what they want. It provides the key information to guarantee success of the project. 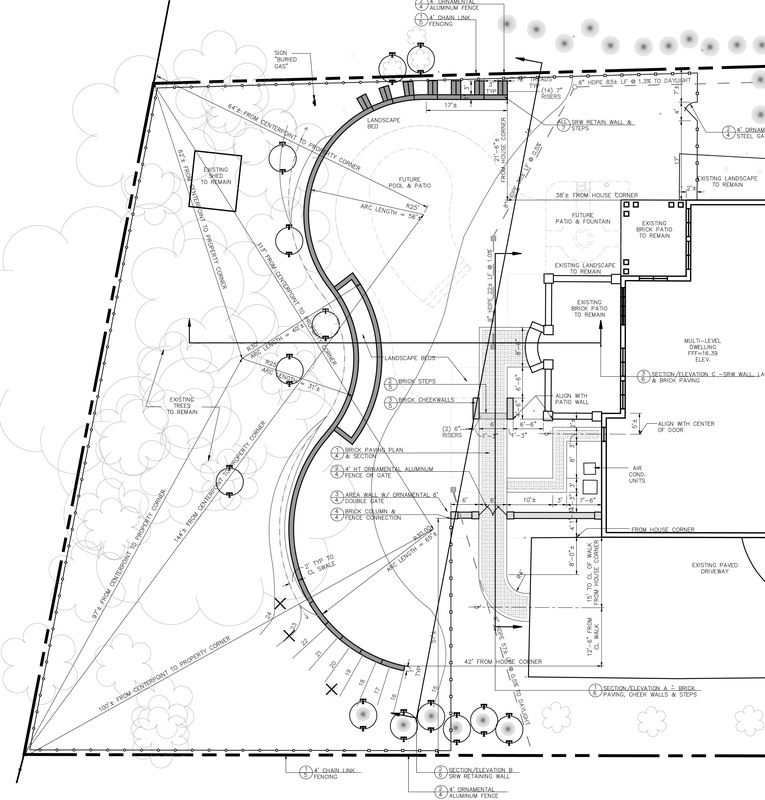 This Construction Documentation will provided plans such as, but not limited to, Layout Plan, Grading Plan, Landscape Plan, and Site Details & Specifications. It is with this set of documents that the design moves from the page and into your site. 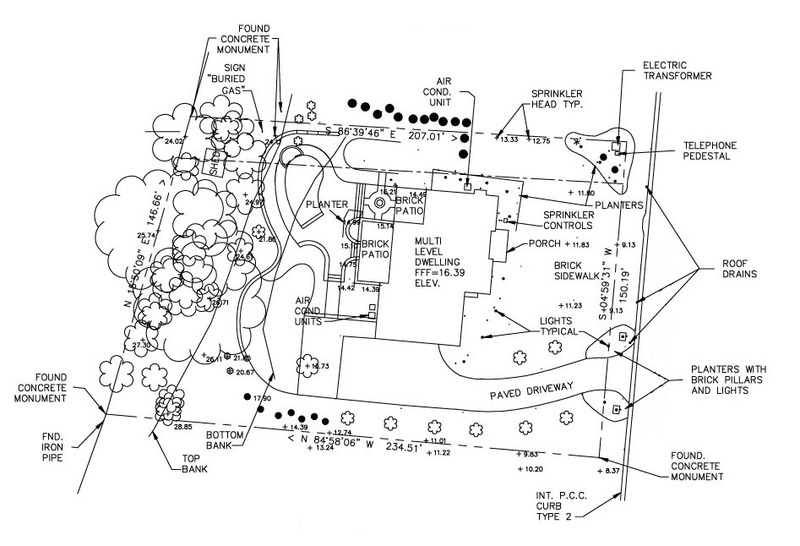 The following examples are of a Layout Plan, Planting Plan, and Site Details respectively. the contract to be sure that the work is done according to the Plans and Specifications. help to you and with your design, please feel free to contact us to find out more.